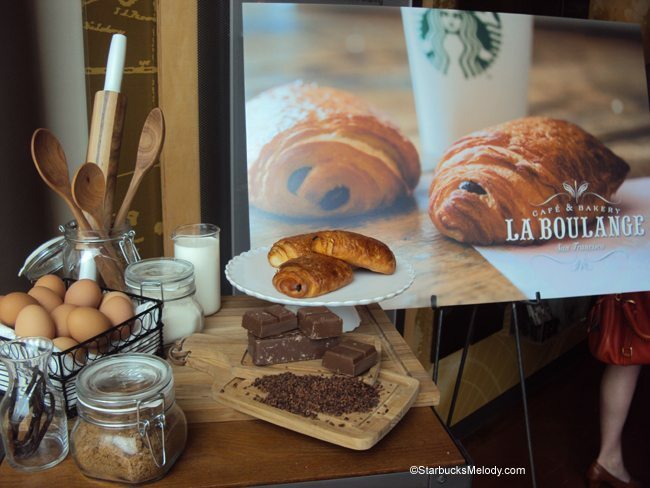 On June 4, 2013, Starbucks customers in Seattle, Spokane (Washington), and Portland (Oregon) will find that La Boulange pastries are in the stores. 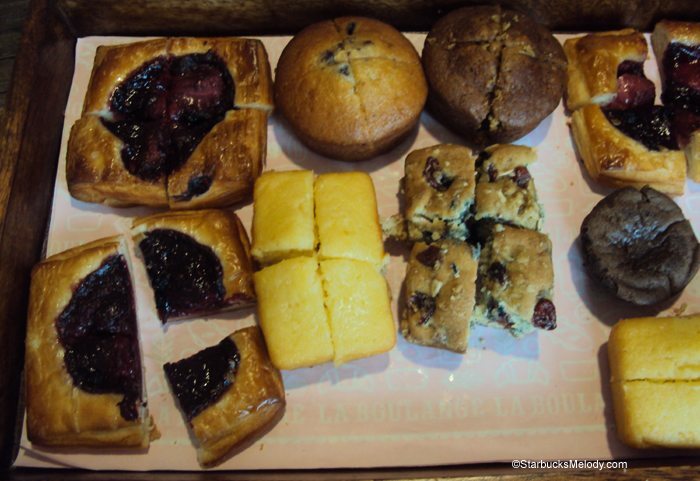 Today, (May 21, 2013) I had the chance to preview many of the La Boulange bakery items. The whole thing was a kick! I met up with other bloggers, Starbucks PR representatives, one person from the coffee department, and Pascal Rigo, the founder of La Boulange. And then I, and other bloggers, sat at a table at the Starbucks headquarters, and we were well fed. Meanwhile, Pascal talked about his baking history from a child in France, to his cafes in San Francisco, to the future of La Boulange as part of Starbucks, and future food items we might see at Starbucks. It was incredible. Pascal talked a lot. He radiates passion for baking. I sat adjacent to Pascal, and snapped a few pictures of him as he spoke. There is something brilliant in listening to the founder of a company talk about their own product. I’ve met Jimmy Rosenberg, founder of Evolution Fresh, and had the chance to talk with him, and he’s the same way – passion radiates from him. That’s just an aside from this article, but in meeting these individuals who create something brilliant from nothing, you see that every pore of their body radiates a love for what they do. I am sure we’ve all met people like that before – but I am in awe every time I see that passion. We paired Organic Yukon for this afternoon’s food event. It turns out that Pascal enjoys Organic Yukon coffee, and that this coffee pairs nicely with many of the La Boulange food items. La Boulange is a San Francisco-based company, and so most of the testing of new food items, plus research and development, happens in San Francisco. Starbucks fully acquired ownership and acquisition of La Boulange on July 4, 2012. (The announcement to acquire the company came about one month before the finalization of the acquisition). 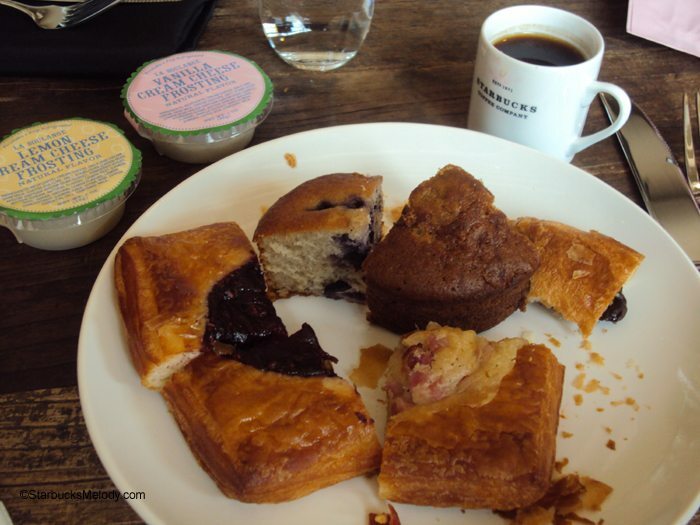 By August 2012, Starbucks was testing La Boulange bakery items in their San Francisco stores. 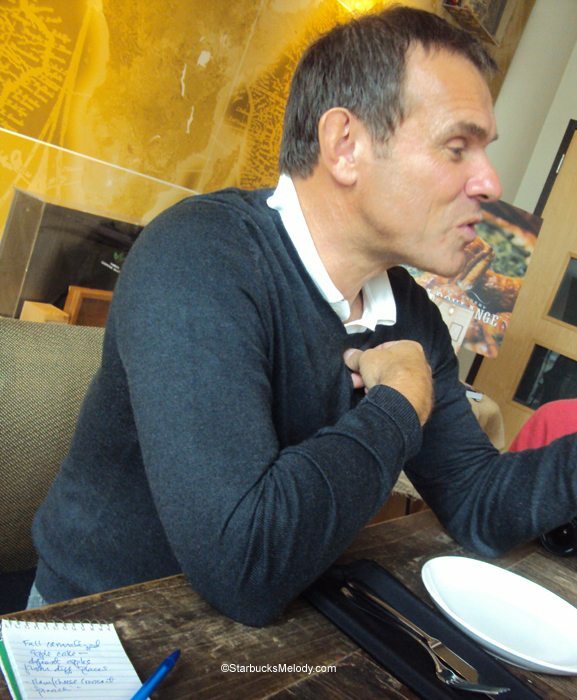 As I understand it, there are long-term plans to test and overhaul lunch options at Starbucks, with Pascal Rigo leading all food research and development. Before I go any further, look at these yummy food items! 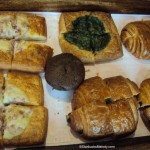 When are some areas of the country getting La Boulange food items? It’s planned as a slow, staged roll out. La Boulange should be introduced into Los Angeles Starbucks stores this July. Chicago is scheduled to see La Boulange food items sometime this August. New York and Boston are scheduled to receive La Boulange items in September. Starbucks won’t have La Boulange launched in all their United States stores until the summer of 2014. 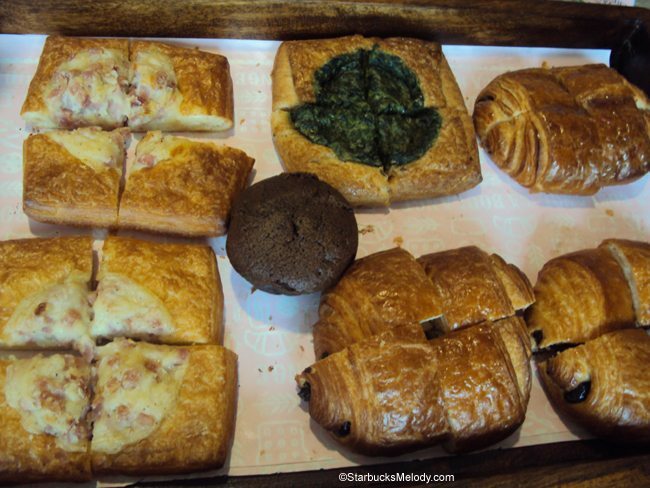 San Francisco, San Jose, and a number of Bay area locations already offer La Boulange pastries. Are there gluten-free baked goodies coming? People often ask for that. 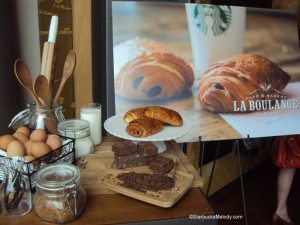 Pascal Rigo talked quickly, provided an enormous amount of detail, but as I understood it, four gluten-free items will be introduced into Starbucks this upcoming September (for those stores that offer La Boulange items). The four gluten-free products will be individually wrapped with some sort of small icon identifying it as a gluten-free produce. I gathered that the four items would be something like a 5-layer cookie bar, a lemon bar, an oat bar, and a new recipe marshmallow-rice square. What heavenly fall items might be around the corner? Pasco mentioned that as fall item, you will likely see a pumpkin cheesecake croissant, a savory pumpkin sage croissant and a caramelized apple cake (loaf?). There was also mention of blueberry/ raspberry compote donuts. Will there be regional offerings, suited to local palates? The plan is to offer some regional items, depending on what local growers may have available and/or depending on local preferences. I was a little unclear what will be launched where, but Pascal mentioned that the San Jose market may offer some kind of empanadas by this summer, to cater to strong local preference. I wasn’t clear if all that was mentioned actually will come to Starbucks, or is just being tested, but it sounds like New York may get some kind pastrami sandwich as a lunch item. Pascal asked about would be something local to Washington that would be great to feature here, and a blogger from Foodista.com quickly mentioned our Walla Walla sweet onions. I had to agree. Put Walla Walla onions in food offerings here, and you’ll have immediate fans. What kind of food ideas area being vetted? What did you think of the foods Melody? Oh my god. I am so excited for June 4th! I wish it would get here sooner. I loved the ham and cheese croissant. I will be having for that breakfast more often than I should. Beautiful (that is her name) of the Beautiful Existence blog was present and we talked afterwards about the tomato basil croissant, and we both loved it. She described it as upscale, amazing tiny little pizza. 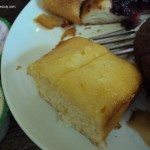 I also loved the lemon loaf, which is available plain, or you can buy either a vanilla or lemon cream cheese frosting with it. 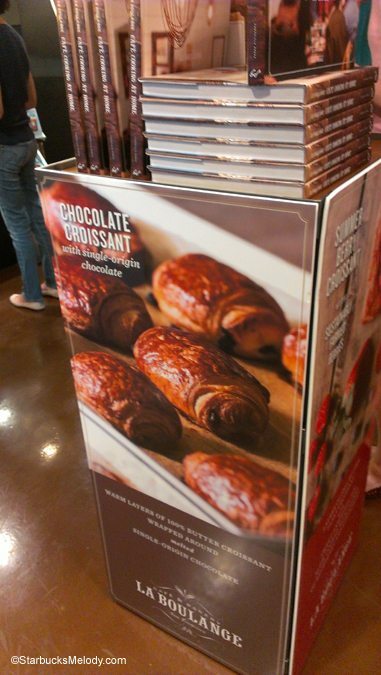 As I understand it, the chocolate croissant is a best seller in many stores that have already launched La Boulange. It was definitely delicious. There is a summer seasonal croissant called the summer berry croissant, and I thought that was totally amazing. The molten chocolate cake was a little too rich for me, but others around me seemed to love it too. 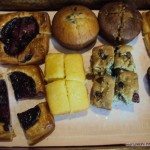 I recognize that walking into a Starbucks and see all new pastries is going to be a surprise to many, but I think customers will quickly find new favorites. The bakery goodies will be made by local bakers, and as much as possible, will involve local sourcing of ingredients. This means, for example, that the caramelized apple cake may have Washington apples in Seattle, and Minnesota apples, if you’re in Minnesota. I am sorry this is so long! Obviously, today’s event was not presented in a question and answer format, but I thought it would make the information digestible to present it that way. I know this is a big change. But the quality of the food will be much better than before. And I really do think that people will find new favorites! I think it’s great that Starbucks has found such passionate partners. You said it right – La Boulange is a great fit for Starbucks. This article quickly got tooooo long! But one thing Pascal said that just made me laugh – He said that Howard called him up and said that after Howard had looked at many bakers/food outlets, came back to Pascal, and “wanted to talk.” Pascal said, “I had a Jerry Maguire moment. Howard had me at hello.” So great! I’m sooo jealous you’ve gotten to taste those pastries! As a district manager in New Mexico I know we’re a long way off from that particular roll out and after hearing Pascal speak at Leadership last October, it makes me sad it will be so long! I got to try the new food in LA, Pascal even showed up, and I thought what I tried was pretty fantastic. The pastries look and sound great! But as Partner, I worry about items like grilled cheese and soups, particularly if they require additional equipment. Most stores already lack for counter space and storage, if the sandwich could be heated up in the existing ovens and not require a grill or press that would probably work. However, I’d suspect soups would require either some other equipment for Partners to heat up pre-portioned cups, or worse, Partners would have to put pre-prepared soup in equipment that would keep the soup hot all day and have to serve it into cups/bowls for customers. That would be more space, more potential burning accidents (hot soup/heating equipment) and more equipment to clean. I don’t like to be negative but I feel like our 1/2 hour closes would get tighter and tighter if they added soups. The addition of the oven a few years ago required us to completely reorganize our day as cleaning it required about an additional 20-30 minutes to clean it properly. Often Partners who normally work earlier day parts left cleaning tasks to those who worked later in the day when it got quieter, simply because they had so many customers they didn’t have time to both clean and get everyone’s breaks in. However, addition additional cleaning duties to the evening when you have the same amount of time to do them in meant those who closed the store were either stressed out because they knew they simply were not doing as good as a job as they should and/or they wound up having to stay later than they were supposed to in order to get everything done. So I’m a bit torn. Although I think it’d be great to offer more items to our customers – I wish we had salads in Canada – I hesitate when I hear ideas that might create more stress for Partners that already feel over worked…. Thank you so much for being a part of this tasting and sharing it on your blog! We are excited to see this roll out across the states and especially here in CO. My wife and I are extremely excited because we will be in Seattle less than a week after the launch, so we will be sampling everything we possibly can. The passion of Pascal is contagious, and gives more reason to back the amazing company that I work for. What a great fit, and a wondering and bold move for Starbucks! Thanks again for sharing! 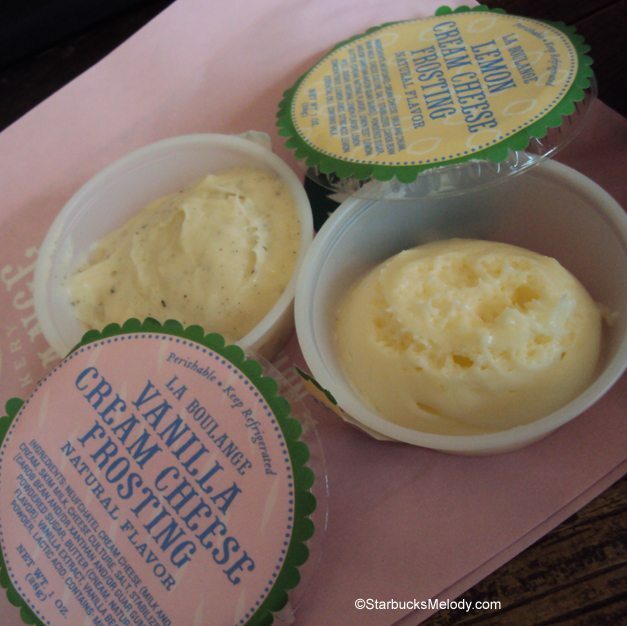 We’re already enjoying La Boulange in Starbucks’ San Francisco locations! The tomato-cheese pastry is amazing! 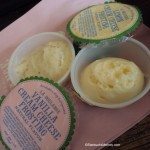 I could eat one every day – but I’m trying not to do that! If I walked into my local Starbucks to find a display case filled with La Boulange pastries, I would have no problem finding a new favorite. Wow! The tomato basil croissant sounds delicious. Is that some sort of spinach pastry in the 6th picture (or is that the tomato basil)? Oh, and I’m sure the lemon loaf would be a winner for me as I already enjoy the current lemon loaf offering. How do the two compare in your opinion? I know it takes time and planning to roll new products, but I sure wish these treats were hitting the stores nationwide this year! Melody what a great experience you had and these food items sound and look wonderful. I am curious as to why they need to have different roll outs in different parts of the country? And when they say like a roll out in New York does that just mean NY or the surrounding suburbs? Also, what kind of increase in price will this mean? I am excited to try some of these pastries. If there is a grilled cheese sandwich, I look forward to seeing what that is like too. 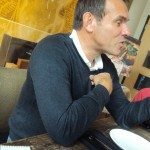 @purple1 – The meeting/event with Pascal was pretty long, so I wasn’t able to capture all that happened in the above article, but he also mentioned that he has been traveling. Pascal has visited personally 70 of the local bakers who will be making his products. As I understand it, this is a huge change to manage: Getting local bakers on board, new conversations about local sourcing of food which hadn’t been as much of the conversation in the past, and getting every store fitted with freezers, training, and apparently some stores are getting new ovens, and some stores are having their ovens programmed with new settings. It sounded like that was the tip of the iceberg – the change just has many moving pieces to it. My store has the freezers and thaw racks. I believe Arizona launches July or late June. I am nervous and excited. We have had a few customers voice their dislike of them after visiting San Francisco. Waiting to form my own opinion however! @Fran and Diele – Diele I’m glad you won’t have to wait too long! July is right around the corner – And Fran, then you should get them too! Or at least I hope so. @Dottie and Kristina – Awesome that you already found a fave. I think that Tomato Basil goodie is going to be a favorite for many. @Tophism – If I haven’t said it already, I love your uplifting comment. I wonder when Colorado will get La Boulange? I’m glad you’ll be in the area to try them here. Enjoy! I hope to run into you in a store! Mmmm these sound great! I’d love to have the berry croissant with the lemon cream cheese icing. @Becca – I thought that selling the frosting on the side was pretty genius too – you might even have people buying extra sides of frosting. Though one thing, I am under the distinct impression that the packaging of the frosting will change. Pascal talked about future frostings in a “cute little tube.” It might be that the super nice small plastic cup, with lid, is a little expensive for profit margins, but of course, I’m making a wild guess. Either way, it’s a great idea to have it on the side. @Melody – I am so glad that you got to attend this event. People do not realize what an effort this really is. There is so much to coordinate with the bakeries and the distribution system. But what will make this succeed or fail are the individual stores. There are 3 keys, training, training, and more training. If these products are not properly handled, prepared, and presented at the stores the tremendous investment will be for naught. I can see a revolutionary change here, particularly with the addition of the gluten free items. Word is the Starbucks in my “remote” area are still going to get some La Boulange products in June. Stay tuned. (This is just between you and me 😉 , peeking into the new Starbucks that will be opening soon I see some new pastry cases). Honestly, I welcome the change to the bakery items. It’ll truly add the finishing touches for those who order a drink they love and get a pastry equally as delicious made by bakers just as passionate of what they do as Starbucks is with their coffee. * Knowledge – every Starbucks partner will get a free pastry for 30 days…we want to every partner to be able to speak personally about these amazing pastries! We are all adding notches to our belts in preparation! * Generosity – Samples, Samples, Samples…Look for samples, ask for samples, try the samples!! Find your favorite! I know I sound very “rah! rah!”, and I’m okay with that. Now is our chance to serve amazing food that complements our amazing coffee. @Stacey – I love your rah rah enthusiasm! I think all the sampling is going to be fun, watching people smile as they try new delicious things! I was having difficulty not licking my fingers at this La Boulange event. @Laura – Are most stores getting a second oven? That would eat up a lot of counter space – though I have seen a ton of stores that already do have two ovens. @Brandonia – Yeah for Alaska! Can’t wait to hear how it goes there! @Melody – confirmed today that my regular Starbucks in Kennewick, WA will unveil La Boulange on June 25 (so will all the other stores in the Tri-Cities area). The Store Lead (store no longer has its own full time manager) was really excited today to explain the training she received. She seems to have embraced concept and she is the type of person whose infectious personality should facilitate the implementation. @DadCooks – I love that type of infectious personality. It brings a lot to a store! Looks like your area is just a couple weeks behind Seattle. I’d like to know when Orange County (Calif) launches La Boulange too. Thanks for the pics, info etc. I am curious about the price points. 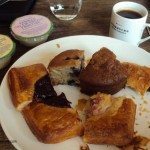 How do the La Boulange prices compare to current bakery items. I would think with local ingredients, regional flavors, local bakers etc that the new items will be more pricey? But they sound yummy and I can’t wait for the roll out in the Midwest! @Katie – When I listened to Pascal Rigo speak, one of the things he mentioned was offering delicious good at an approachable price point. He mentioned this in passing in a couple of different ways – I don’t think there will be any more than a slight price increase with the La Boulange items. I live in the Bay Area, so we’ve had La Boulange items in local stores months ago. Some items are a hit, like the Cheese Danish (toasted! ), & some, like the Coffee Cake, I prefer the old version. If it were up to me, I’d use the Walla Walla Onions for a savory caramelized onion, roasted garlic, chives, & ricotta tart (w/ a puff pastry crust or similar to the Cheese Danish). I used to get upset when they ran out of cranberry orange scones by 9 am. Some stores would tell me that they only got 2 every day. Other stores would tell me it was their most popular seller. With much disappointment I did try some of the baked goods. I found all of the options greasy, and yes I know what a scone should look and taste like. Even the breads are greasy. They are small portions put in a double sack because they are sooooo greasy! I used to eat breakfast at Starbucks every day. That has stopped. Do the math, about $11 a day for hubby and I, so now I stay home, use my fancy new Nespresso machine and they lost out on the coffee sale too. Shame on you Starbucks for not listening to your customers, but I just saved several thousand a year. 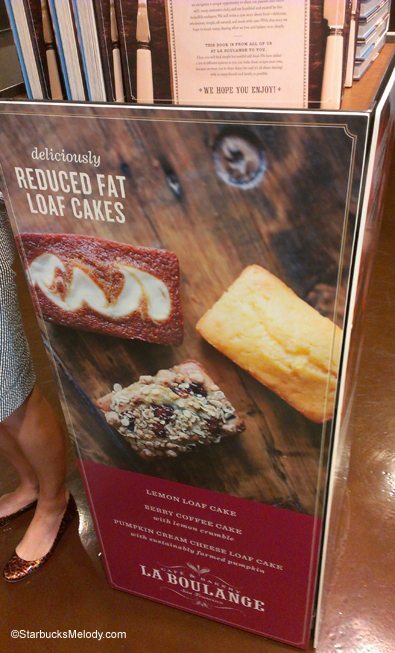 Very disappointed in the change to Starbucks baked goods. I used to get a chocolate brownie most times with my iced coffee. Other favorites are the lemon cake and blueberry muffin. 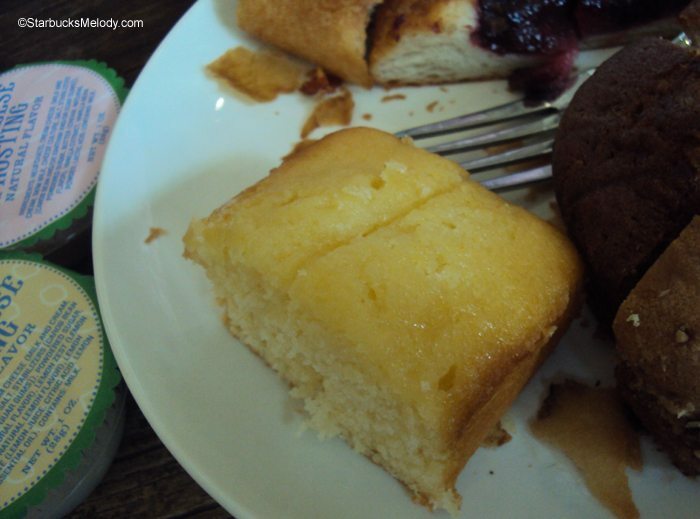 The new lemon loaf is just ok. The loaf shape makes it a bit rubbery and while I applaud the change to more pure ingredients I don’t think the new items are any more delectable. I am not interested in having to heat the pastries in order for it to be tasty. I prefer to eat it later anyway. I now am going to stay away and make my own ice coffee at home. The good thing is the Target Starbucks still sells the original baked goods. I am really going to miss the brownie.